Noriega recently underwent an operation after suffering a haemorrhage following brain surgery. Noriega had been a key US ally but was forcibly removed when American troops invaded in 1989 and was later jailed in the US on drugs and laundering charges. He spent the rest of his life in custody, latterly in Panama for murder, corruption and embezzlement. But the former leader was released into house arrest in January to prepare for an operation in early March to remove a brain tumour. He underwent further surgery after cerebral bleeding but died late on Monday local time in Panama City's Santo Tomas hospital, Secretary of State for Communication Manuel Dominguez announced. President Juan Carlos Varela tweeted: "The death of Manuel A Noriega closes a chapter in our history; his daughters and relatives deserve a funeral in peace." Although he was never elected to office, Noriega became the de facto leader of Panama, serving a six-year tenure as military governor in the 1980s. A strong supporter of the United States, he became a key ally in Washington's attempts to battle the influence of communism in central America. But the US tired of his increasingly repressive role internally in Panama, and there were indications he was selling his services to other intelligence bodies, not to mention drug-trafficking organisations. Noriega was indicted in a US federal court on drug-trafficking charges in 1988 and, after US observers declared he had stolen the 1989 election, President George HW Bush launched the "Operation Just Cause" invasion, sending in nearly 28,000 troops. 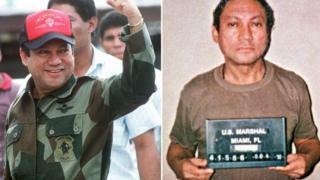 Noriega sought refuge in the Vatican's diplomatic mission in Panama City. US troops flushed him out by playing deafening pop and heavy metal music non-stop outside. US trial reveals he wore red underwear to ward off the "evil eye"
By 3 January 1990, Noriega surrendered and was flown to the US to face drug-trafficking, money-laundering and racketeering charges, serving 17 years in jail there. While in prison he was convicted in absentia in France of money-laundering and sentenced to seven years. After the US extradited him to France, a court there approved a request from Panama in December 2010 to send him back home, where he was convicted again. 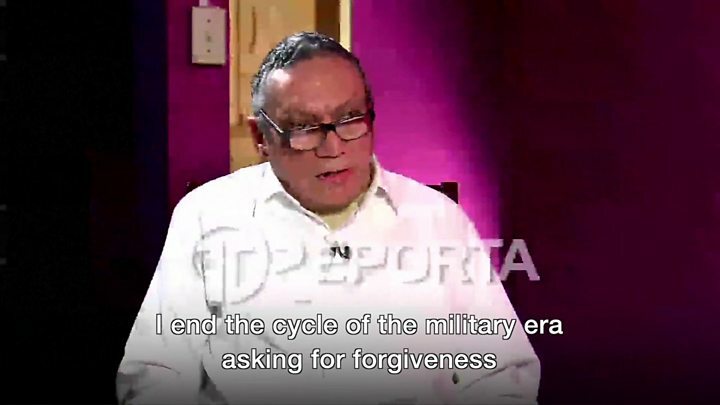 In an interview on Panamanian TV two years ago, Noriega read out a statement of apology. He said: "I apologise to anyone who feels offended, affected, harmed or humiliated by my actions or those of my superiors whilst carrying out orders, or those of my subordinates, during the time of my civilian and military government." A US Senate sub-committee once described Washington's relationship with Noriega as one of the United States' most serious foreign policy failures.